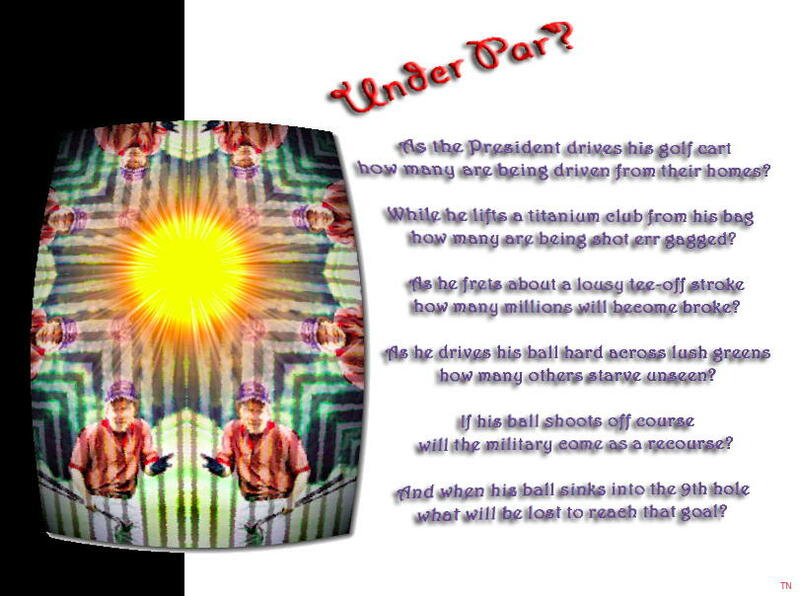 Sam: D'ya think that most presidents have golf course mentalities? Tim: I wish. At least in golf there are rules that must be followed, but some presidents are like dictators who think they're above the law. Kris: And in golf the whole performance is open, but who knows what moves are made in secret by top executives? Ted: No, you idealize politics! Who said that politics was a gentle sport? In the end, isn't there only one winner? Tim: With that way of thinking, in the long run everybody loses . . . .